It’s simple! the Simplicity 16 has been developed with speed of installation, durability and cost in mind. 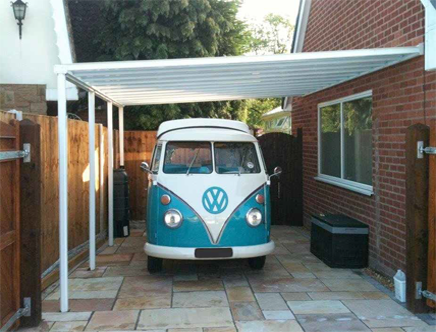 As our most economical system it allows you to supply a low-cost shade and shelter solution to your clients. 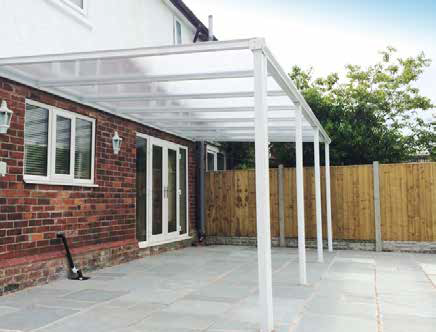 It can project up to 4 metres and has a lightweight roofing system, which is ideal for creating cost effective carport and veranda structures. Please note, this product comes in white as standard, if you require any other colour the price may vary so please give us a ring for a quote. If you require any additional information please give us a call on 01482 352 932.